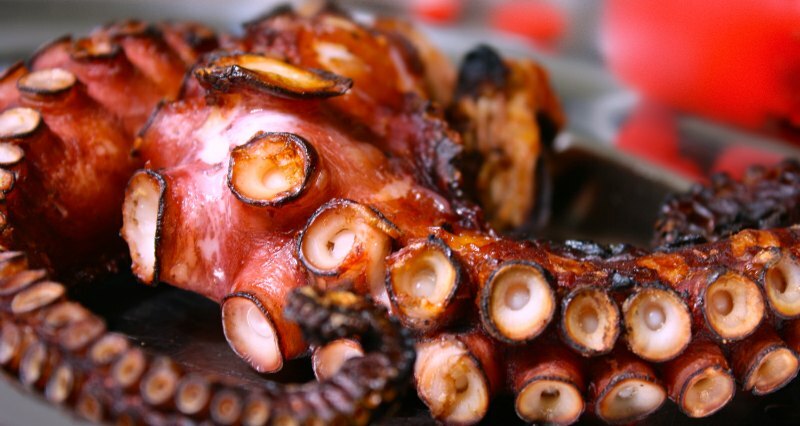 Seafood lovers, this one's for you. Create a dish that would look inspired and complex in no time. Leave it to aioli to make the great impression. Flavoured with ginger and lime, slightly spicy, fresh marinated anchovies. A classic Mediterranean meze dish transformed by a fusion mood. Like models in photo shootings, the neutrality of their characteristics allows to be creative with many different looks. The mild taste of the sole fish has the exact same ability to transform into anything from just simple plain to something rather exciting. A selection of seafood that will fill your table with Mediterranean breeze. Boost your holiday mood with the ultimate summer combination. Today we treat ourselves like royalty and take an elegant bite of some (excellent) salmon in crispy puff pastry also known as Salmon Wellington. Elegance unveiled from a shell or you may as well call it the diamond of gourmet cuisine. 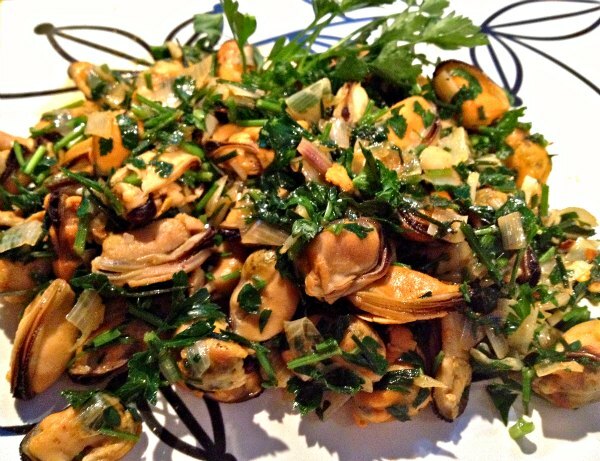 Mussels with paprika and herbs. Fresh seafood with aromatic herbs and lemon leaves, wrapped in parchment and baked in the oven. When this dish of scampi and crab is opened at the table, it smells wonderful! Can be served as a main dish or starter.